Dario Pegoretti (18 January 1956 – 23 August 2018) was an Italian frame builder, out of Trento, in the Dolomites, Italy, and then later in Verona, Italy. He was widely considered to be one of the great contemporary steel and aluminum bicycle frame builders and a pioneer of lugless TIG welded frames. 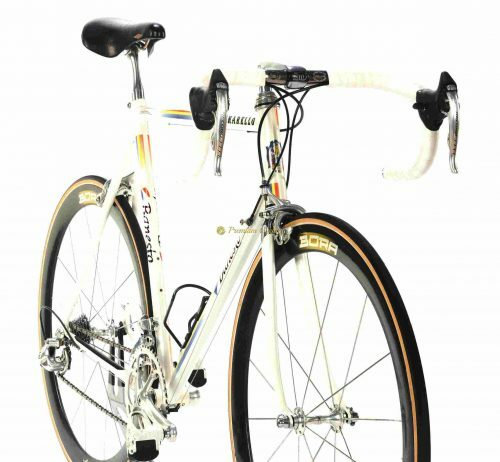 Pegoretti started to build frames back in 1975 apprenticed with master builder Luigi Milani, who was his father in law. 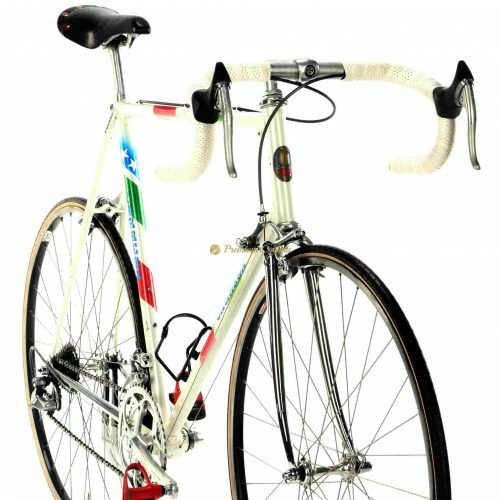 They were a great friends and partners, they build frames for legendary road racers like Indurain, Pantani, Cipollini, Roche, Battaglin, Chiappucci, Tafi, Fondriest and many others. When his father-in-law passed away in the ’90s, Dario continued on, building as a contractor for various brands, also for Pinarello Reparto Corse (racing department). Later Giorgio Andretta convinced him to venture into producing frames with his own name on them. Thus, the Pegoretti brand began, and he’s been building his own frames ever since. In 1990, Spanish bank Banesto took over as the main sponsor of the team from Reynolds and they create one of the strongest teams back then with Delgado and Indurain as there team leaaders. 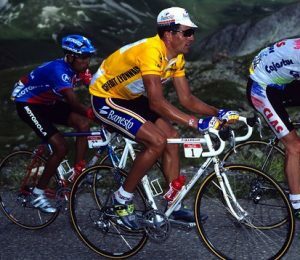 Over the following years, Indurain rose to become a dominator Grand Tours, winning five editions of the Tour de France (’91, ’92, ’93, ’94, ’95) and two editions of the Giro d’Italia (’92 nad ’93). Dario Pegoretti was responsible for Banesto’s racing bikes, working for Pinarello, as their contractor for their very high-end bikes. From 1993, their frames were TIG welded, made of Dedacciai 18MCDV6HT or Oria ML34 steel tubing and build with Campagnolo Record groupsets. Proudly presenting this iconic Pinarello Banesto steel machine, made by master framebuilder Dario Pegoretti. The frame is work of art, shinning in original Banesto paintjob, made of Dedacciai / Oria steel tubing, featuring the perfection and attention to details to providing the best performance you might expect from mid 1990s racing machine. Many special touches spotted on the frame like fork crown, rear brake bridge, front derailleur braze on pin, drop-outs, bottom bracket shell, all marked with Pinarello sign or logo. Only the best parts are good enough for this eye-catching beauty: Campagnolo Record 8s groupset with iconic Bora 1st generation carbon wheels, 3ttt Pinarello cockpit. No much words needed. Condition: Mint / NOS condition. The frame has no cracks, no dents and is not bend. Some very very tinny signs of storage. Original paint and decals. 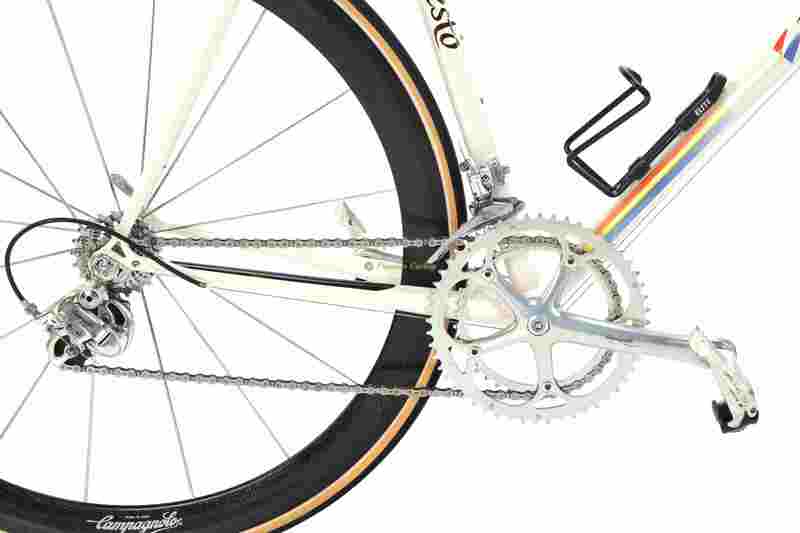 Groupset and other components are in excellent condition. * Worldwide shipping available. Due to copyright reasons the photos are in lower resolution and marked with watermark. If you are interested in buying, have any questions or would like to request a full HD photo album of the bike please feel free to contact us.